Is your business in need of driveway sealcoating, or a new asphalt driveway? Then your first call nearby Cary should be to Everlast Blacktop! We are the most affordable full-service driveway paving service provider in the industry, and we are rated number one in customer satisfaction. The professional driveway paving crews of Everlast Blacktop are ready to schedule your custom blacktop driveway or asphalt driveway project today. Our customers know among the commercial and residential driveway pavers in the industry, when it has to be done right, it has to be Everlast Blacktop! The village of Cary once known as a winter resort for skiing is located in McHenry County, Illinois. The small village of Cary has over 90% of the nearly 18,000 residents that have at least a high school degree, and almost 50% have completed bachelors. Servicing Cary and the surrounding areas are the premier driveway paving services and driveway pavers of Everlast Blacktop. The affluent communities of Cary understand quality products and know they can depend on Everlast Blacktop to deliver the driveway sealcoating and asphalt driveway paving that will enhance the value and look of their homes and businesses. Everlast Blacktop is pleased to provide quality blacktop driveway services, ranging from the basic to the extreme, to the customers of Cary. No job is too big or too small for our professional driveway paving crews. 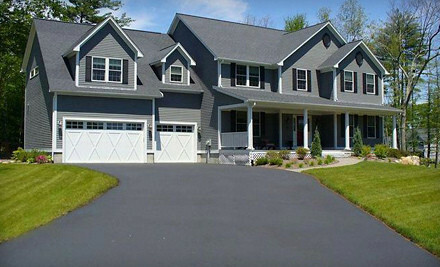 We will meet every challenge in creating a beautiful asphalt driveway for your home or business. At Everlast Blacktop we start with the highest quality driveway paving materials, and we will keep you informed every step of the way on your project. Call us today at (630) 855-5572 to schedule a no-obligation onsite consultation and get your custom blacktop driveway project started!